Plan Belgium came with this video in the first week of February to take part in the fight against Female Genital Mutulation (FGM), with global activities on 6 February. The organisation worked with Mandy Smith, who became famous with her project ‘No More Cutting‘. She makes paper creations of the female sexual organ, based on photos that women send her. It is these clippings and clipping scissors that leaves nothing to imagination. 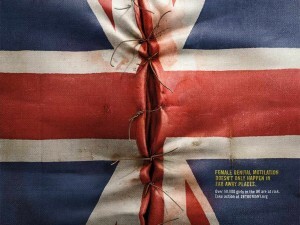 In eight countries, 80% of girls and women are still victims of genital mutilation. Worldwide, more than 200 million girls and women living with the consequences. The number of women and girls in Belgium that is probably genital maimed is estimated at 13,000. More than 4,000 girls would run the risk of being circumcised in the country. In spite of these figures, the shocking video was initially refused by the Facebook Advertising office. For the obvious reasons but after some persuasion the spot was still allowed.